JSW Energy scrip is currently trading at Rs. 66.50, up by 2.20 points or 3.42% from its previous closing of Rs. 64.30 on the BSE.The scrip opened at Rs. 64.00 and has touched a high and low of Rs. 66.70 and Rs. 64.00 respectively. So far 9945 shares were traded on the counter. The BSE group 'A' stock of face value Rs. 10 has touched a 52 week high of Rs. 97.50 on 12-Jan-2018 and a 52 week low of Rs. 60.55 on 23-Aug-2017.Last one week high and low of the scrip stood at Rs. 70.85 and Rs. 63.00 respectively. The current market cap of the company is Rs. 10545.55 crore. The promoters holding in the company stood at 74.99%, while Institutions and Non-Institutions held 14.16% and 10.85% respectively. JSW Energy has extended to the Long Stop Date to acquire the 1000 MW (4X250 MW) thermal power plant located at Village Tamnar, District Raigarh, Chhattisgarh from Jindal Steel and Power to June 30, 2019. Earlier, the company had entered into a Securities Purchase Agreement for the same with June 30, 2018 as the Long Stop Date. 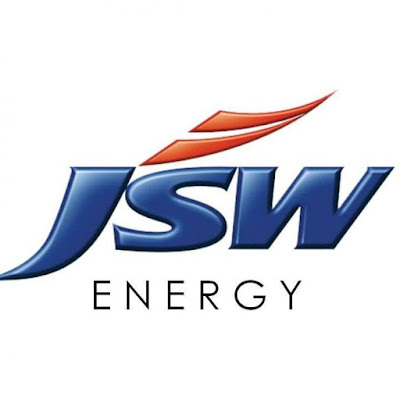 JSW Energy, part of the JSW Group, is a growing energy company. The Group has diversified interests in carbon steel, power, mining, industrial gases, port facilities, aluminium, cement and information technology.